Scheme by Bromberg-Martin, Matsumoto, and Hikosaka (2010). Fantastic! Above is a picture of their scheme (Fig. 7). Reference: Bromberg-Martin, E. S., Matsumoto, M., & Hikosaka, O. (2010). 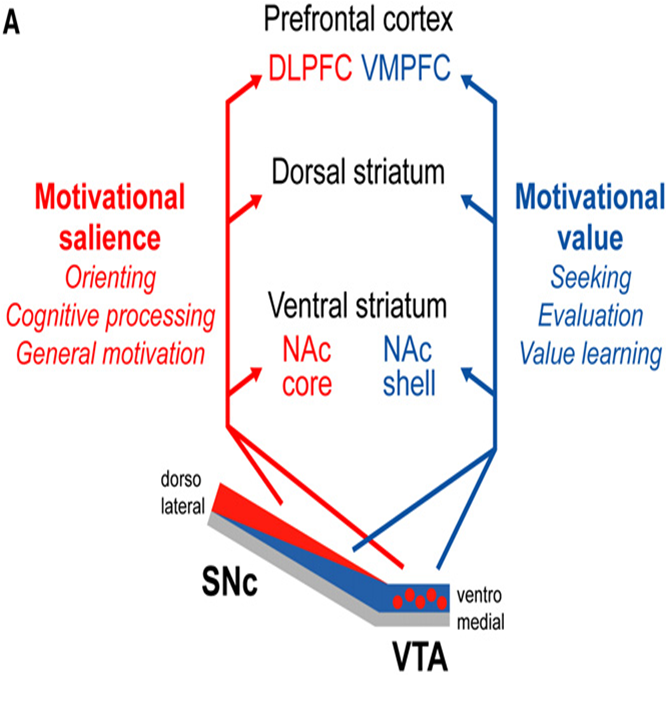 Dopamine in motivational control: rewarding, aversive, and alerting. Neuron, 68(5), 815-834.